Music has the ability to come in and out of your life only to resurface again, later. There are some artists that I like instantly. 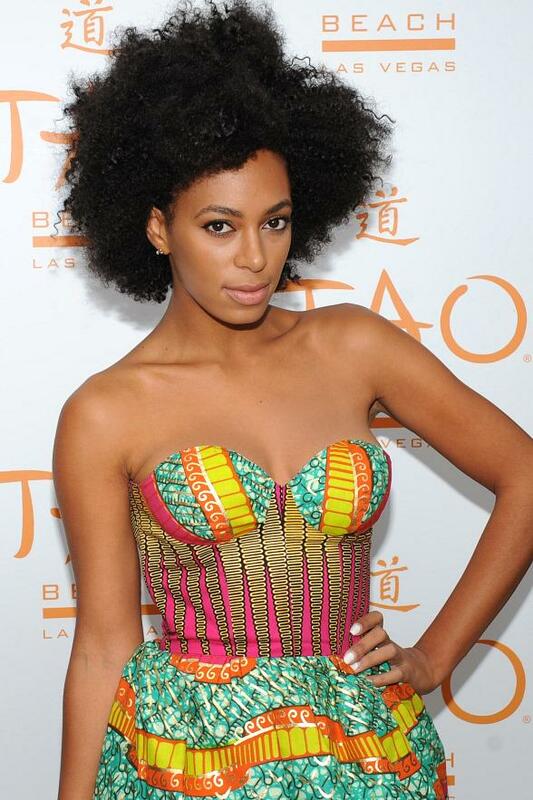 For other artists, like Solange, it takes time for me to appreciate and enjoy the music. I am not saying that overnight I became Solange’s number one fan, either. A big thing that I’ve noticed about her is that she has the ability to turn a lyrically sad song into a fun, upbeat track. While on the topic of her lyrics, I still think that her lyrics are a bit plain and simple. She just doesn’t take me there, lyrically, and that’s fine. Sometimes when I listen to music, I am greedy and immediately want the “full package”: to be stimulated by the lyrics while the rhythm and melody of the song are complimenting them. How else can I describe this…? Through a song..of course! Here’s an example. Not every artist, gives me the “full package” but I do believe that with time it’s possible to grow into a certain artist/song and just accept the music for what it is. A song can still be amazing with out being the “full package.” But before I keep going on and on about that, let me bring this back. I am beginning to appreciate Solange’s music. She is good at what she does. That’s the most important thing, right? Her music and style, in general, is radiant, retro, colorful, fun and lively. I don’t know why it took me so long to get into her music. But it just happens like that sometimes and it’s okay. I’m liking it. Below, watch her video for “Lovers In The Parking Lot.” I’ve also been jamming to this song, as well! Lately, I’ve been on an almost non-stop R&B music listening binge. There’s only been two hip hop artists that have been able to creep into the stream, one of them is Bryant Dope. The young MC hails from Queens, New York. Late last year he released his Raw Dope (also the name of the track the above lyrics are from, listen to that track here) mixtape and he’s planning on dropping Raw Dope 2 sometime soon. The name fits, Bryant Dope. The beats are dope. His flows are dope. Bryant is Dope. Besides his music, he recently graduated college. Rappers with college degrees are also dope. What more can I say? You really should just check this guy out. If you live in or are planning to be in the NYC area on June 12, I highly recommend you to come through to SOB’s to catch him perform live! He’ll be taking the stage as a special guest on the Last Winter Tour featuring Dreamville‘s own Bas. Buy your tickets here! I’m really looking forward to the show, plus it will be my first time back at SOB’s since I moved back to Cali! Below, peep the visual for “Real Is All I Know,” also off his Raw Dope tape. Her most recent release, “Fan Club” is an upbeat, eclectic sounding tune. It sounds like she recorded the song while watching a movie and didn’t bother to mute the TV. It reminds me of what Frank Ocean did on “Love Crimes.” Listen below, and check out the rest of Mélat’s SoundCloud channel. 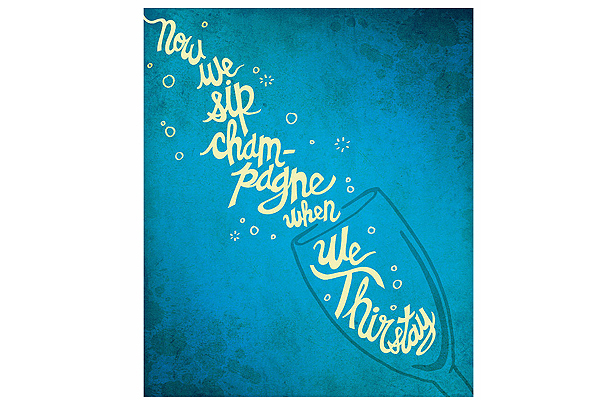 Birthdays Was The Worst Days/Now We Sip Champagne When We Thirsty/Damn Right I Like The Life I Live/Cuz I Went From Negative To Positive. -Notorious B.I.G. “Juicy” is one of my most favorite Biggie songs. Today, he would have been 42. I can’t help but wonder what hip hop would be like if he were alive now. Would he have songs with Rick Ross or Drake? J. Cole or Kendrick Lamar? I will just have to let my imagination run wild. Regardless, he made his mark during the short time he had on this earth, in music and of course, in hip hop. I’m having difficulty remembering how old I was when I heard my first Biggie song and what that track was. Here’s a little trivia, anyone out there know the sample (another great song!) he used for Juicy…? Drumroll please… – Juicy Fruit by Mtume. 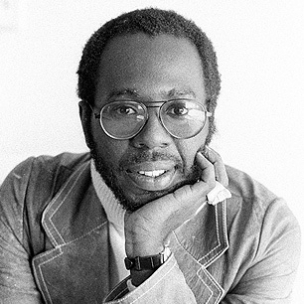 Just a reminder from good ol’ Curtis Mayfield! Happy Monday ya’ll! 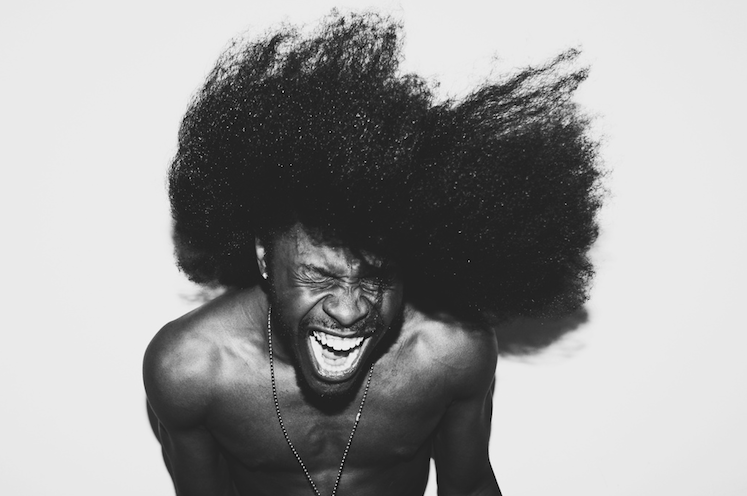 The track, “Before The Night Is Thru,” is the track that put me on to Jesse Boykins III. I first heard it sometime in 2011. I remember thinking “this is a funky beat, that I can groove to,” and then I heard his voice and it just matched the track so perfectly. And the lyrics, man… that first verse. I mean the whole song, but the first verse is so pure and true. He is such a unique artist – so unique that it’s difficult for me to explain it – you really just have to listen to him to understand. In this case, and other cases…when words fail me, music speaks. LOVE.LOVE.LOVE. These ladies! This song might sound familiar to you if you’ve heard “Chapter Six” by Kendrick Lamar from his Section.80 tape OR if you’ve heard “Restless Dreamer” by Jesse Boykins III, as both artists have sampled it. On a side note – JB3 will be live in SF tonight at The Independent, it will definitely be a wavy show. Tickets here. 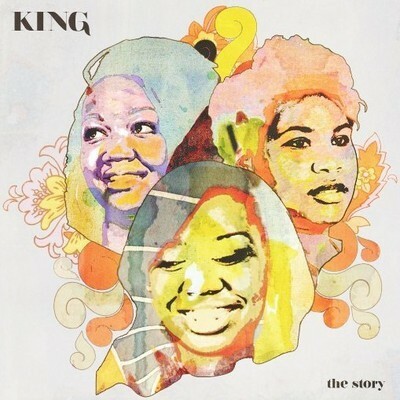 KING is formed by two sisters, Paris and Amber, and friend, Anita. Their voices come together, in perfect harmony. Since 2011, when I first heard their music, I’ve wanted to see them live. Unfortunately, I missed them in NYC last fall. This summer they will take the stage on June 27 in Los Angeles, at The Lyric Theater. I’m really hoping to make that show, even though I have a wedding to attend in the Bay Area the next day…! But “hey,” why not…right?! Last spring, they released another track “In The Meantime,” which is also a stellar track! Enjoy! What If He Walks Towards Me, While All The Blood Is Rushing Right To My Brain, What Am I Gonna Say? 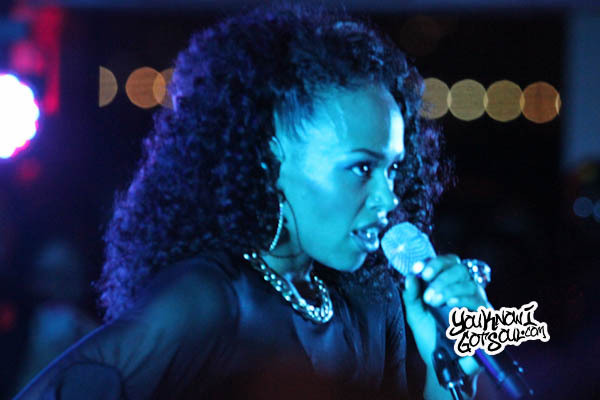 #ThrowbackThursday Edition: I saw Elle Varner perform at SOB’s Summer Splash Concert Cruises on August 30, 2013. Although it was the last show on the Luxury Infinity Yacht we (I worked at SOB’s at the time) had, it was my first time attending a show on the yacht. Her performance truly blew me away! I had seen her perform before, in 2011 at The New Parish in Oakland, California. But this time, man…she killed it! I especially enjoyed her performance of “Not Tonight,” a track she wrote and performed with her Dad. I love hearing songs for the first time, live. It brings so much more feeling and emotion to the song. As a person in the audience, you’re invited to go on a special journey with the artist – one that you can’t go on when you’re listening to the song at home. This song has since become one of my favorites – that I’ve played on repeat in my car, singing over and over again. I identify with the lyrics to some extent, but really, it’s the way she delivers the song that captivates me. Upon re-listening to all of them again, right now… I am really feeling “Cold Case.” All of them are definitely worth it to check out though… Listen to them all here. Don’t sleep on Elle Veezy, ya’ll! 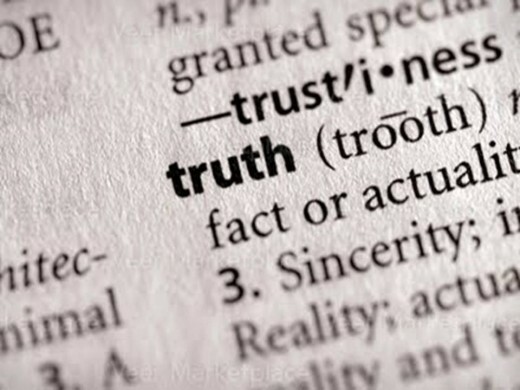 Out Of Everybody I Met, Who Told The Truth? Time Did.